← Perfect Entertainment for your Daughter’s Quinceañera! If you are planning your Indian wedding, you are likely to be very excited about getting everything ticked off the list. You have your ceremony dress and evening dress sorted, along with your venue but what about your entertainment? There are many available options to keep your guests entertained and really make your big day even more spectacular, so here at www.EntertainersWorldwide.com we have put together our top 5 entertainment ideas for your Indian wedding! For your wedding ceremony it is always nice to have background ambiance for those parts of your ceremony where things get a little quiet. Hiring an instrumentalist, such as a Cellist will really add atmosphere to your wedding ceremony and there are many instrumentalists available that cater for Bollywood themed music. 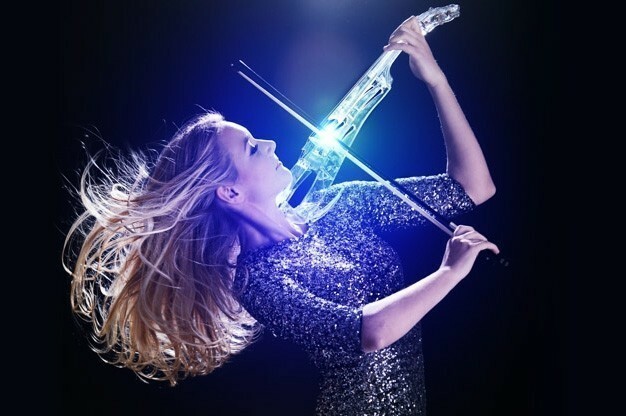 With musicians such as Cellists, Violinists, String Quartets and more available, why not kick off your wedding day in style and book an Instrumentalist today using our entertainment directory? 2 – For your evening reception entertainment, enlist the help of Bollywood Dancers! If you are looking for authentic Indian entertainment for your wedding evening reception, why not look at booking Bollywood Dancers? Bollywood Dancers will perform Indian dance in authentic and colourful costumes and will really get the party started. Your guests will absolutely love this type of entertainment and many of the available acts listed with us offer a more traditional performance or something a bit contemporary. If you want to book Bollywood Dancers, take a look at our listings on our entertainment directory! 3 – For something a bit different, why not look at hiring a Caricaturist? Although hiring a Caricaturist is not limited to Indian weddings, we highly recommend them for a lovely addition to your wedding day. Give your guests a little something to remind them of your big day and hire a Caricaturist to sketch each guest within a few minutes. 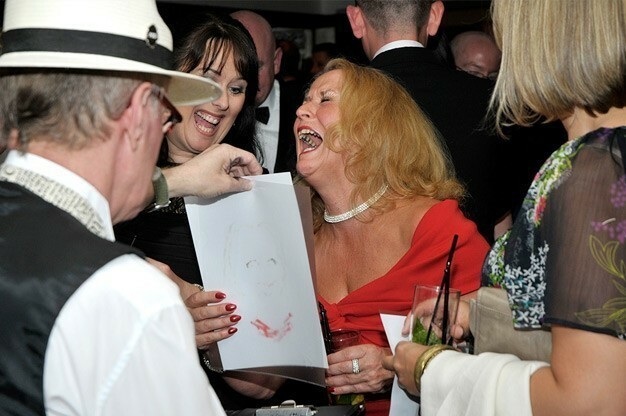 Caricaturists are well known for emphasising features such as noses, ears and eyes and many of your other guests will be attracted to this type of entertainment as they watch the magic unfold. Even the Bride and Groom have the opportunity to be sketched, which makes a lovely wedding day memento. Click here to find a Caricaturist for your Indian wedding today. If you want to add a bit of a spectacular to your wedding day, consider hiring Aerialists and Acrobats to perform and amaze your guests. 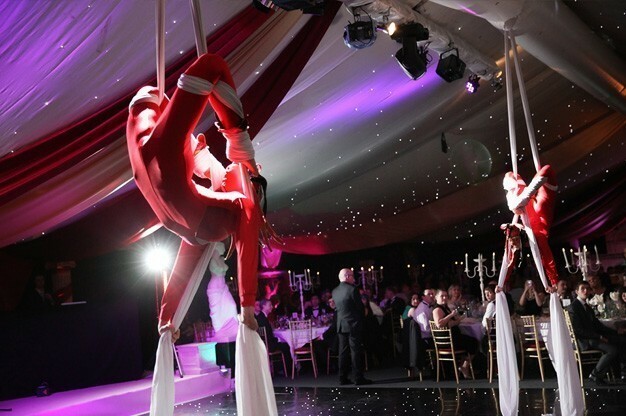 Aerialists are slightly different to Acrobats in that they perform in the air using trapezes, swings and hoops – so you need to make sure your wedding venue will be able to accommodate this type of performance. If you want to keep things on the ground, choose an Acrobat instead who will still amaze your guests with a mix of acrobatic stunts. Add that WOW factor to your Indian wedding and find an Aerialist or Acrobat to perform on your big day! For a more traditional wedding entertainment for your evening reception, choose a wedding DJ to play music on your big day. If you still want to keep things to Bollywood music, it is worth asking if any of our wedding DJs will accommodate. One of the main benefits of hiring a wedding DJ is that they will have a much bigger selection of music than a live performance as they simply need to license the music instead of learn it! They are also very good at getting the party started and getting guests up onto the dancefloor. A wedding DJ will announce your first dance and banter with guests too! Want to find a Wedding DJ for your wedding evening reception? Click here to check out our available acts! Using our website, www.EntertainersWorldwide.com you can easily source and book your wedding entertainment within as little as a few hours – making things a lot less stressful and getting another important task ticked off the to-do list. If none of our entertainment categories have inspired you, take a look through all of our available categories to find the perfect wedding entertainment for you. After you have found the right entertainment, you can easily find the perfect performer too! All you need to do is take your time browsing through the available act profiles where you will find plenty of information about them such as their biography, previous customer testimonials and be able to view video / audio samples if they have chosen to upload them. Made that all important decision and want to know more about an act or get a no-obligation quote? Simply click on the “Request a Quote via E-mail” button or give them a quick call (we appreciate a mention so they know where you found them!) and you’ll be put in direct contact with your chosen entertainer or act. This will give you the very best direct price with no additional fees from us, or commission on top of your booking! That’s right, www.EntertainersWorldwide.com is completely FREE to use! This entry was posted in Wedding Entertainment Ideas!, Wedding Planning Ideas. Bookmark the permalink.